Are there any foodies out there? You’re going to want to try this! 19g of plant based protein. 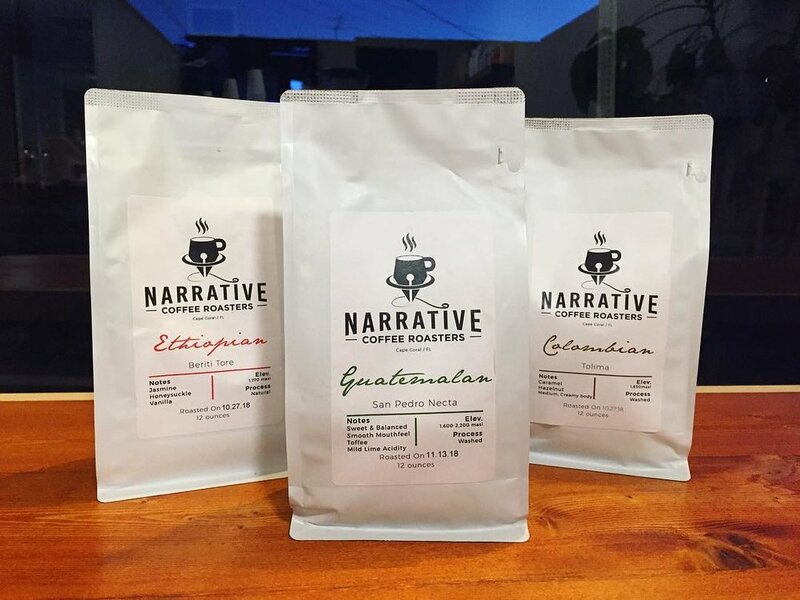 Try our pour overs to experience the tasting notes on our freshly roasted coffee beans from Narrative Coffee Roasters. If you are coming off of HWY 127 onto HWY 52 W. Pass Walmart, Walgreens, the Jamestown water tower and First Baptist Church and come down the hill. You can park in the shared gravel parking lot with Tori Lyn Boutique or continue through the traffic light and park across the street in the Chamber of Commerce Public parking. Similar to Drip Brewer, but the entire process is manually operated. Nearly boiling water is Poured over ground coffee residing in a filter. We offer a 2oz. (double shot) beverage created using a high pressure extraction from 19 grams of fine, evenly ground coffee, evenly distributed and compacted into what is known as a puck. The Espresso has three major parts to its anatomy. The Crema, The Body, and the Heart. A little bit of espresso and a lot of milk, with a thin cap of foam (12 oz.). We offer premium Ghirardelli flavors such as dark chocolate, vanilla, caramel Cafe Miel (Honey Latte), Maple spice latte, and Chai Tea Latte. Any latte can be served cold over ice! Premium Ghirardelli dark chocolate with steamed milk topped off with our signature hand crafted healthy marshmallows roasted to perfection. Great for the little ones or those who prefer no caffeine. This drink is simply frothed milk with honey and topped with a dash of cinnamon. Ready for some adventure? Take your coffee passport around the world as we offer coffee from countries such as Ethiopia, Columbia, Guatemala. Fresh, Gluten Free and Vegan! Our house made banana blueberry muffins are the perfect winter treat. Made in house with all purpose gluten free flour, almond flour, coconut oil, bananas, blueberries, unrefined coconut oil, and cinnamon. Topped with pops of Turbinado sugar. Plant based chocolate protein powder, almond milk, maple syrup, chia seeds. 19g of protein packed with yum! Delicious greek yogurt topped with seasonal berries and granola. Fresh and delish!